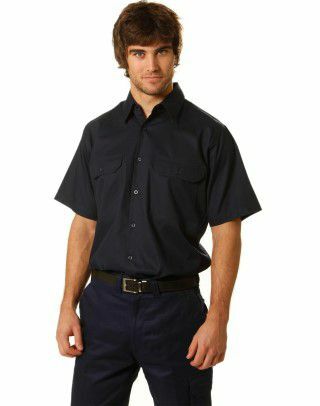 Buy your men's work shirts online form Australia's most favourite uniform store. We offer an exciting range of work shirts for men, as well as for women. In addition we offer a fast, friendly customer service. This is partly why Uniform Choice is fast becoming Australia's leading suppliers of men's long sleeve and short sleeve work shirts. We offer many styles of shirts in many colour and size options. Please note that many of our shirting styles come with matching style for women so that you can fit out both men and women staff of your business with uniform looking shirts. We offer quality men's long sleeve poplin shirts, which are ideal for the great Australian summer. The long sleeve poplin shirt offers comfort, UV protection and stylish looks. 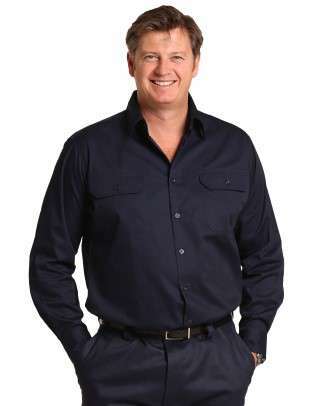 Made from lightweight fabric, they are easy to was and care for, which makes it an ideal business work shirts in place such as Melbourne, Sydney, Brisbane, Adelaide and Perth where the summer temperatures gets pretty high. If your work place allows short sleeve shirts, you might even go for the Men's Short Sleeve Poplin Shirt, which is often available in the same colour and size range as the long sleeve version. Men's Chambray Shirt is probably the longest lasting work shirt. The combination of cotton and polyester provides durability, colour retention and comfort. The Men's Chambray Shirts is often referred to as Wrinkle Free shirts because it requires little, or no ironing. It is available in chambray blue in sizes of Small to 5 XL. At our uniform store, you can find quality men's long sleeve chambray shirts, as well as men's short sleeve chambray shirts. It is worth noting that we also offer matching women's 3/4 sleeve chambray shirt, as well as women's short sleeve chambray shirt to allow a uniform look in your business. If you are looking for quality men's epaulette shirts for your security business, then you may want to check out our range of epaulette shirts. 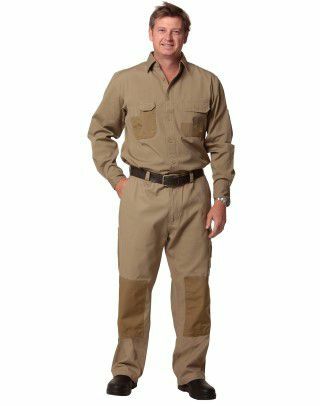 At our online workwear store you can buy quality men's long sleeve epaulette shirt, as well as men's short sleeve epaulette shirt at highly competitive prices. Uniform Choice offers an extensive range of pre-washed, cotton drill work shirts for men. At our online uniform shop, you can find quality women's cotton drill work shirts. 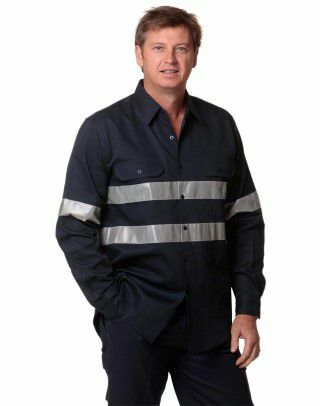 Work shirts are also available in plain, and with quality 3M reflective taping. Order men's reflective work shirts online and save heaps. We also offer matching women's work shirts with 3M reflective taping. 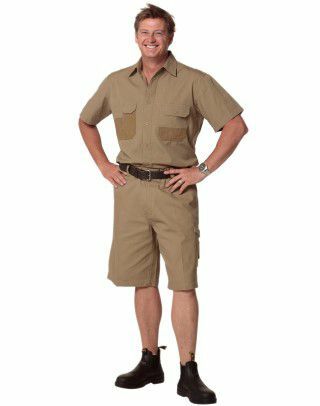 work shirts that you can order online from anywhere in Australia. 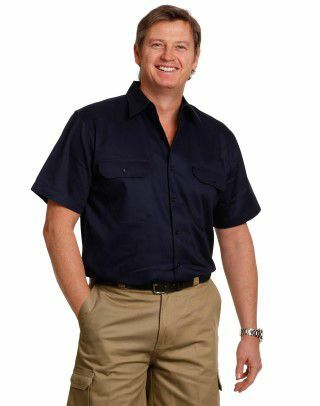 There are lots of men's work shirts with pockets that you can order online from anywhere in Australia. There are many styles of men's work shirts with single pocket, as well as with two pockets. Work shirts that are embroidered or screen printed with your company logo is an effective way to promote your business, and improve your branding. Uniform Choice offers quality embroidery and screen printing services that you can order online whenever you purchase your work shirts. By ordering your decoration online you can save lots of time, headache and money.